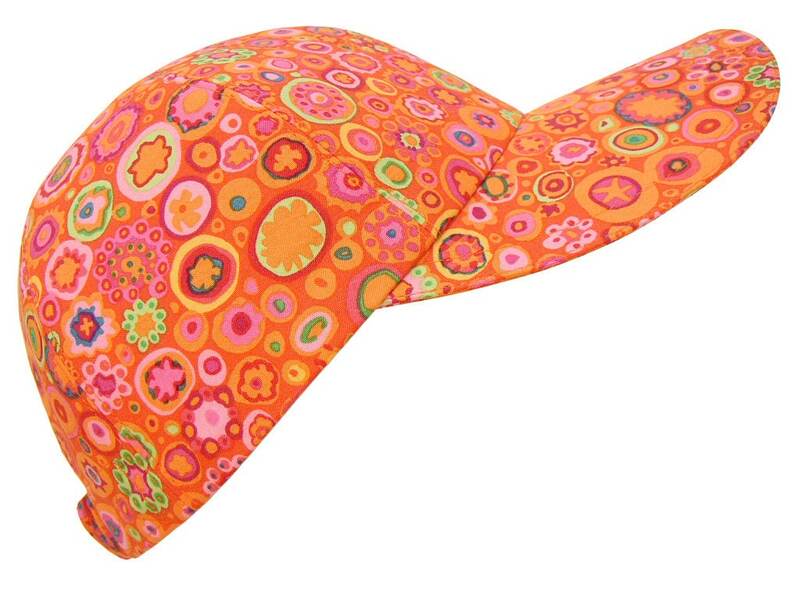 This lively cap is called "Tangerine Dream" - Circles and dots, swirls and stars in juicy shades of orange, yellow, pinks and greens. 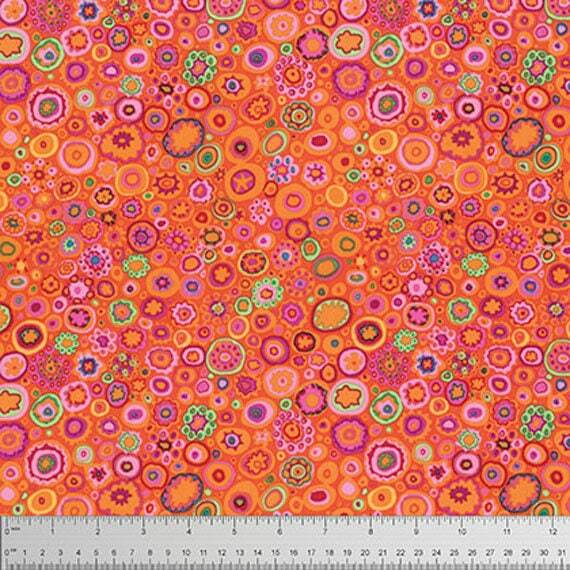 A favorite print from the Paperweight Collection by Kaffe Fassett. 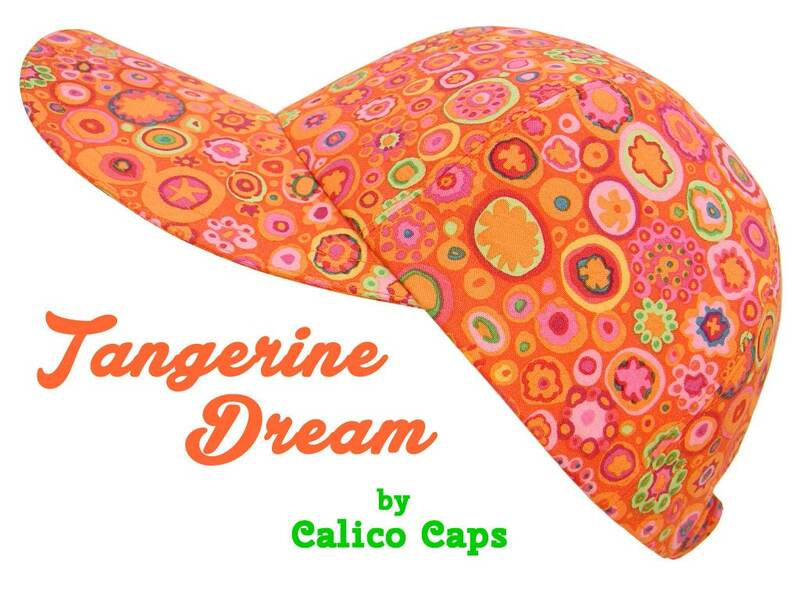 Matching orange top-stitching really blends into the background letting the colors stand out. Orange grosgrain band on the pretty, white-on-white floral print cotton lining.